The Athens Marathon is like no other on Earth. According to legend, it covers the same ground that the Athenian messenger Phiedippides ran when he brought news of victory from the battlefield of Marathon 2,500 years ago. When you run the Athens Marathon, you run in the very footsteps of the ancient gods and heros that gave birth to western civilization. The finish line is in Athens' magnificent Olympic Stadium, the birthplace of the modern Olympic Games. Those who run the Athens Marathon say it is an experience they'll never forget.The Athens Classic Marathon is an annual marathon road race held in Athens,Greece normally in early November. The Athens Classic Marathon began in 1972 as a joint venture between the Greek tourist board and atheltics association. 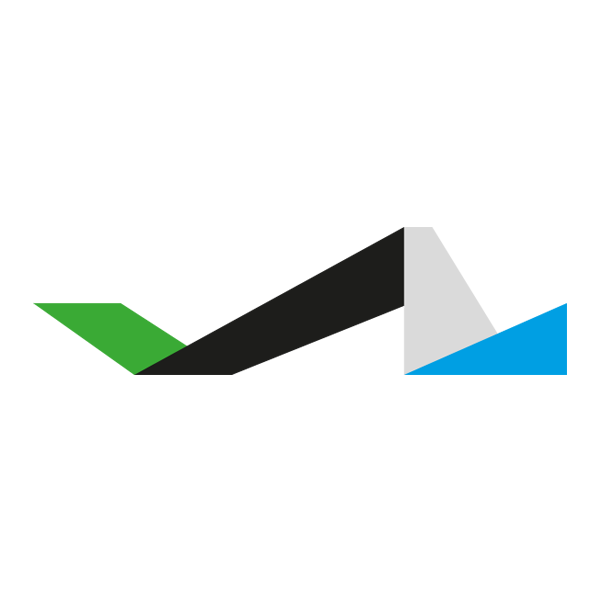 The race came under the auspices of the current organisers and SEGAS in 1983 and has since become a major race, being awarded Gold Label Road Race status by the IAAF. 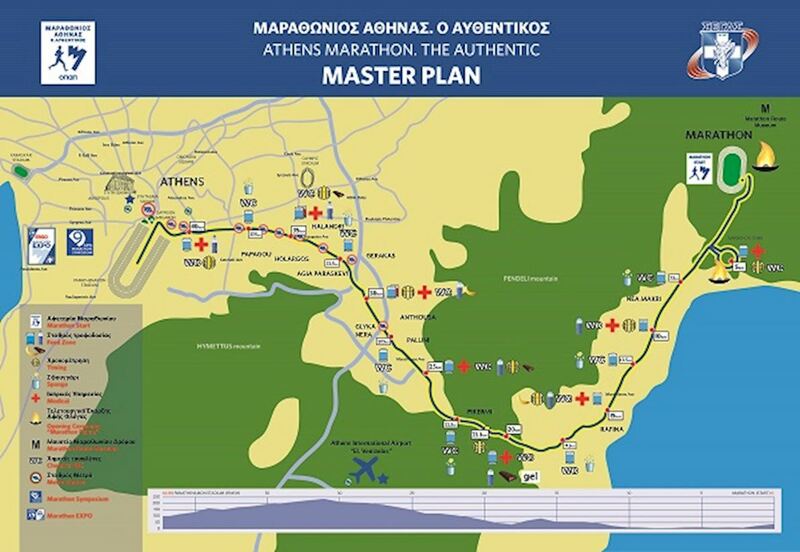 The Athens Classic Marathon is not just a sporting event, a hard race, a tough course of 42,195m. 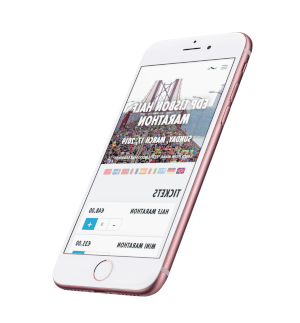 More than that, the Athens Classic Marathon is a bridge that unifies the legend with history; it showcases the strength of human will; it is a fountain of values, of social liability, environmental sensitivity, friendship and solidarity. In 2012, Athens Classic Marathon marked 30th anniversary. The marathon course is based on the myth from which the race gained its name: Pheidippides, a messenger in Ancient Greece ran from the Battle of Marathon to Athens to announce the Greeks' victory over the Persians.The race attracted around 30,000 competitors in 2013, including the concurrent 5 and 10 kilometres road races and the racewalking contest. You must be at least 18 years old to enter the Athens Marathon. For the 10k and 5k you must be at least 12 years old with parental authorization. The course is open for 8 hours. great route and finish at Kallimarmaro stadium...priceless! If you want to be called a runner then you have to run at Athens Authentic Marathon. Although i did the 10km the feeling entering Kallimarmaro(Panathenaic Stadium) was amazing!!! If you want to be called a runner then you have to run at Athens Authentic Marathon. Although i did the 10km the feeling entering Kallimarmaro(Panathenaic Stadium) was amazing!!! Its the original marathon and to date the best marathon I have run. Starting in Marathon and absorbing the historical significance is a special feeling. The run is not easy due to its undulating natur... Its the original marathon and to date the best marathon I have run. Starting in Marathon and absorbing the historical significance is a special feeling. The run is not easy due to its undulating nature but this makes it even more worthy of its status. The finish area is simply stunning, running into the Panathenaic Stadium will stay with me forever. If your a marathon runner this is a must do race and the locals treat you like an Olympian. The Liberty Park (Parko Eleftherias). The Marathon Race starts at 09.00am from the Marathon Start Venue in the City of Marathonas.The first 200m of the course are sloping, leading to the exit of the Marathon Start Venue. The first 4 kilometers go downhill. The runners run along the Marathonos Avenue up to the 4thkm, when they turn right and enter the Marathonomachon Street and the Marathon Tomb, which they follow for the next 2.2km. The course follows a rather circular route around the War Memorial for those that died during the Marathon Battle (Marathon Tomb). The course becomes flat from the 6th to the 10thkm. From the 11th to the 17thkm the course goes uphill at certain parts. Then, and before the Rafina Junction, the runners meet a steep descent. Starting from the Rafina Junction, the course goes uphill again, while the most difficult part is until the 20thkm. As the runners pass along the district of Pikermi, they run through some, more or less, uphill parts of the course up to the 25thkm. The passage through the city of Pallini (27th - 28thkm) is also rising. The last and most difficult part of the course starts from Gerakas and goes up to Agia Paraskevi (30th – 31stkm). A steep ascent at the Stavros Junction is followed by a steep descent leading to the Agia Paraskevi Square. Then, the runners follow the Mesogeion Avenue, going through the districts of Chalandri and Cholargos, meeting flat and downhill parts of the course up to the finish. The most characteristic downhill part is the one that starts form the Ministry of National Defense and finishes at the Katechaki Junction (37.5km).Right after the Erricos Dynnan Hospital (38th km), the runners continue left on Michalakopoulou Avenue until the traffic lights of Michalakopoulou and Fidipidou Street crossroad. Following that point, they continue running on Fidipidou Street until the crossroad of Kiffisia & Alexandras Avenue. The latter crossroad highlights the 39th km, while the runners continue left on Vas. Sofias Avenue. On Vas. Sofias Avenue, the runners pass by the American Embassy, the Athens Music Hall and the Liberty Park (Parko Eleftherias). As they reach the Hilton Hotel, they slightly turn right heading towards the Syntagma Square, passing by the Evaggelismos Hospital and the War Museum. At the last part of the course and having turned on the Hrodou Attikou Street, the runners have eye contact with the Panathinaikon Stadium. Only a few meters remain in order for the runners to enter the Stadium and run the last 170 meters inside it, before reaching the finish line. According to legend, the very first marathon in the world appeared on the route where the present day Athens Classic Marathon takes place. In 490 BC a giant Persian army invaded the small town of Marathon near the coast of Greece. However in the Battle of Marathon that ensued, the Greek army defeated the Persians, and a messenger named Pheidippides was sent to Athens to bring news of the victory. The young Greek ran the 42 km from the battlefield to the capital as fast as he could, announced his joyous message, and died. And according to folklore, this is the inspiration for the marathon race we know today. Apart from the obvious connection to the legend of Pheidippides, the Athens Classic Marathon is dedicated to Gregoris Lambrakis, a Greek athlete and Member of Parliament who, after his politically motivated assassination in 1963, became a national symbol of democracy and social justice.